"Yet again, Team USA have the strongest team on paper, and yet again, they’re the favourites to win, but the United States have failed to justify favouritism on five of the last seven occasions they’ve been sent off jollies. Taking on the USA has been the way to go in recent years and especially so on European soil. Europe have been shortening up in the lead up and it’s patently obvious why." The first Ryder Cup was staged in 1927 and won by the Americans 9½-2½ at Worcester Country Club in Massachusetts, but the event may never have come into being if it wasn't for an idea by one of the Golf Illustrated magazine staff - James D. Harnett. Harnett's notion was to write to the PGA of America, in 1920, to suggest that a popular subscription could finance a team of 12-20 Americans to be sent to Britain to play in the Open Championship. No American had won the Open and the PGA ran with the idea, announcing the creation of the British Open Championship Fund in November 1920. On May 24, 1921, a team of 11 (which included the first American to win the Open a few months later - Jock Hutchison) left New York for Blighty and on arrival, prior to playing in the Open; a 10-a-side team event was staged between the Americans and a team from GB - held at Gleneagles. The Americans were soundly beaten in what was named the Glasgow Herald Tournament but it was a successful event and it proved to be a precursor to the Ryder Cup itself. Five years later, Samuel Ryder, a wealthy businessman who had made his fortune selling seeds at a penny a packet from his garden shed, sponsored another informal event, this time at Wentworth, which saw a GB side beat a Walter Hagen-led US team 13-1. It was obviously deemed a success and 12 months later it became an official event. After losing the inaugural event, Great Britain won the next two renewals on home soil, in 1929 and 1933, but only managed one more victory, again on home soil in 1957, before Irish players joined them in 1973. Three Ryder Cups were staged with a GB & Ireland team but still the Americans dominated. The event was uncompetitive and fast losing its appeal so in 1979, Team GB & Ireland became Team Europe and although the US won comfortably in 1979 and 1981, in 1983 the Europeans ran the Americans close at the PGA National in Florida, losing narrowly 14½-13½ and that was a major turning point. The Europeans comfortably won at the Belfry in 1985, before winning for the first time on US soil two years later at Muirfield Village. They retained the trophy with a drawn match in 1989 and it wasn't an uncompetitive event any more. It's grown in stature ever since and it's now a huge event that attracts millions of fans that don't usually follow the sport. Two teams of 12 play out 28 match play ties over three days, with 14½ points the total required to take the trophy. The first session on Friday morning sees European Team captain, Thomas Bjorn, pick four teams of two from his 12-man squad to take on US Team captain, Jim Furyk's, four pairs in fourball match play. In fourballs, each of the four players plays their own ball and a point is scored by whoever plays the hole in the fewest number of shots. Friday afternoon sees four teams of two from each side play each other in the first foursomes session. Foursomes format is often called "alternate shot" and is a tougher format than fourball. The first player tees off, the second player hits the second shot, the player that hit the first shot then hits the third shot, and so on until the ball is holed. Players hit alternate tee shots so that the same player doesn't hit every tee shot. Saturday is a repeat of Friday - fourballs in the morning and foursomes in the afternoon - and then on Sunday, there's no hiding place with 12 singles matches determining the final result. Le Golf National only opened in 1990 but it's been the host course for the Open de France every year since, apart from 1999 and 2001. Although a fairly young venue, it's already established itself as a truly great venue that provides an extremely demanding test. It's a fairly exposed track, often described as an inland links, with undulating fairways of average width. The greens are bentgrass, of an average size, and they usually run at around 12 on the stimpmeter. Water is in play on holes 1, 2, 13, 15, 16 and 18. It's a stadium style course designed by Hubert Chesneau and Robert Van Hagge and it's going to make for a tremendous Ryder Cup venue. The coverage is extensive to say the least and it starts today if you're interested in the Celebrity Match which is live on Sky Sports at 14:00 UK time. We've got live 'On The Range' coverage tomorrow and on Thursday there's a live Captain's Match, a live preview and of course, the Opening Ceremony is live too. The event itself finally kicks off on Friday morning and the coverage begins at 6:30 UK time. A quick glance at the results over the last ten years above tells us that the supremacy the United States enjoyed for the majority of the last century is now a distant memory. Whichever way you look at it, Europe have been the dominant force since the switch to include all Europeans occurred in 1979. They may have lost the first three editions and the last one but Europe has won six of the last eight contests, eight of the last 11, and 11 of the last 16 and the score since the switch in 1979 reads Europe 11-8 USA - although that does include 1989 when Europe retained the cup by virtue of a draw at the Belfry. Europe have won the last five encounters on home soil and the last time Team USA won away from home was way back in 1993 when Tom Watson's side got the better of Bernard Gallagher's team 15-13 at the Belfry. Year after year, the Americans have a stronger team on paper but more often than not they find it impossible to make that advantage count - especially away from home. I really do get the impression the event means more to the Europeans and the fact the very few of the Americans have bothered to play in the Open de France is testament to that. They've known for years that Paris was the venue for this year's renewal and yet the vast majority of the team haven't played the course under competition conditions. In fact, I'd go as far as saying their course preparation is woeful. Justin Thomas was the only player to make the trip this year (finished eighth) and the only other two to play the venue at all are Brooks Koepka, who missed the cut when a European Tour player in 2014, and Bubba Watson, who missed the cut in 2011 before making a total fool of himself with some ridiculous remarks about Paris. There will be pundits that claim course form won't matter but I think it's a huge factor and the Europeans can put their knowledge to good use. 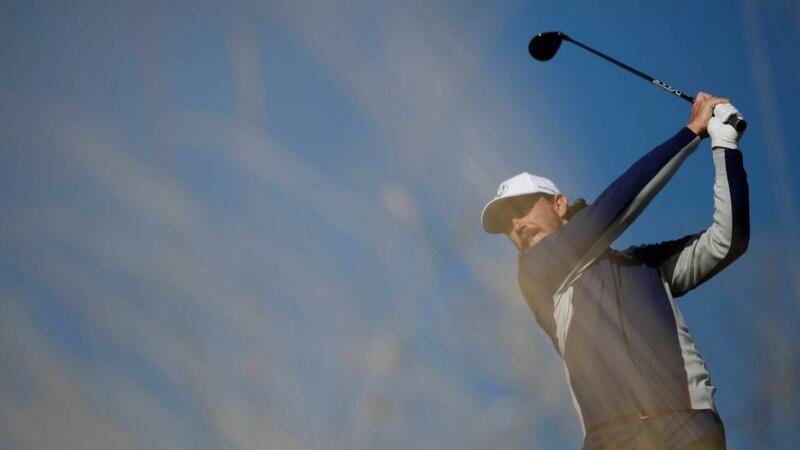 The last two editions of the Open de France have been won by members of this year's European Team (Tommy Fleetwood 2017 and Alex Noren 2018) and several others have a great bank of form here too. Francesco Molinari, for example, has been runner-up three times! That has to count for plenty. Yet again, Team USA have the strongest team on paper, and yet again, they're the favourites to win, but the United States have failed to justify favouritism on five of the last seven occasions they've been sent off jollies. Taking on the USA has been the way to go in recent years and especially so on European soil. Europe have been shortening up in the lead up and it's patently obvious why. The last two editions have been largely uncompetitive affairs but we witnessed all sort of shenanigans at Medinah in 2012. The Europeans hit a high of [27.0], the Americans a low of [1.03], and the tie was matched at a high of [80.0] and a low of [1.12]! The tie is currently trading at [13.5] and there's a good chance that it will be matched at a considerably lower price so backing the tie before the off and placing a series of lay-backs in the market could prove a profitable exercise if it's tight. There's a danger that one team could run away with it so that might not be for everyone but it's certainly one way to play the event. If you're planning to bet on the individual matches in play, the finish at Le Golf National is fabulous but tough. After the par five 14th, the players will face four tough holes that consistently average over-par in the Open de France and the last is an absolute brute. With water in play off the tee and on approach, it used to be a par five and it arguably still should be given it averaged 4.53 in July. The key to the Top European Scorer and the Top United States Scorer markets is to concentrate on players you're fairly certain will be involved in all or most of the sessions. There's nothing worse than backing someone that doesn't play more than once or twice before the Sunday singles, or even not at all, so I've concentrated my efforts on the players most likely to figure. The in-form Bryson DeChambeau is a very tempting proposition for the Americans but whether he'll figure in all five sessions on debut is doubtful. Paul Krishnamurty has picked out Justin Thomas and Webb Simpson and I'm following him in on Thomas. I like the fact that he's played the course and that he fared so well last time alongside Rickie Fowler and my only concern is whether Captain Furyk will mess with that put him with his out of form pal, Jordan Spieth. In the Top European Scorer market, I'm again following Paul, this time with course winner, Tommy Fleetwood, but I'm also backing the Open Champ, Francesco Molinari. As Paul highlights, his Ryder Cup record isn't spectacular but he absolutely loves the venue and the Sportsbook have pushed him out to an industry-best 19/2. That looks worth taking. I'm not a massive Ryder Cup fan so although I'll be dipping in and out I won't be following the action as avidly as Paul Krishnamurty, who loves the event, so he'll be on In-play and debrief duties this week and I'll be back next week with my previews for the Alfred Dunhill Links Championship on the European Tour and the first event of the PGA Tour's 2018/19 season - the Safeway Open.